Only available to Australian residents (unless a product is purchased). You can select up to two of the same sample (put a comment in "additional" section if you want 2 of the same). Samples are listed as 1 cent. If your order is less than $100, there will be a $5 delivery charge. If your order is over $100... delivery is free. 2. Add the samples to cart at this link: HERE (opens in a new window). If you purchase a product and samples in the same order.... the samples will be included in the parcel for free (no gift voucher). If you do not purchase a product.... it will cost $5 (for postage), and you will receive a $5 gift voucher. H&B samples are in one group. Clineral samples are in one group. AHAVA samples are broken up into categories. 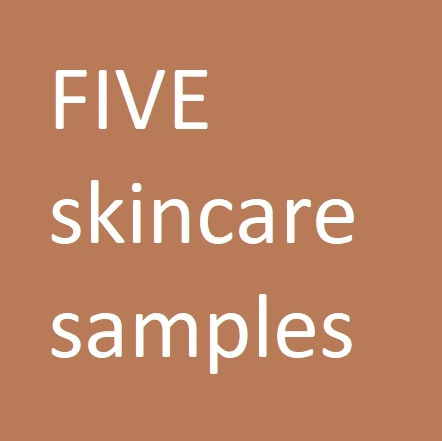 ANNA LOTAN samples are 'tubes"... and can only be sent with a purchase of product. ** the information you provide here (or at checkout) is NOT put on any mailing list. Thanks for filling out this form. Please ensure you fill out the Samples Order form - and proceed to checkout. Thanks for visiting, and I'm sure you will LOVE the Dead Seas products.